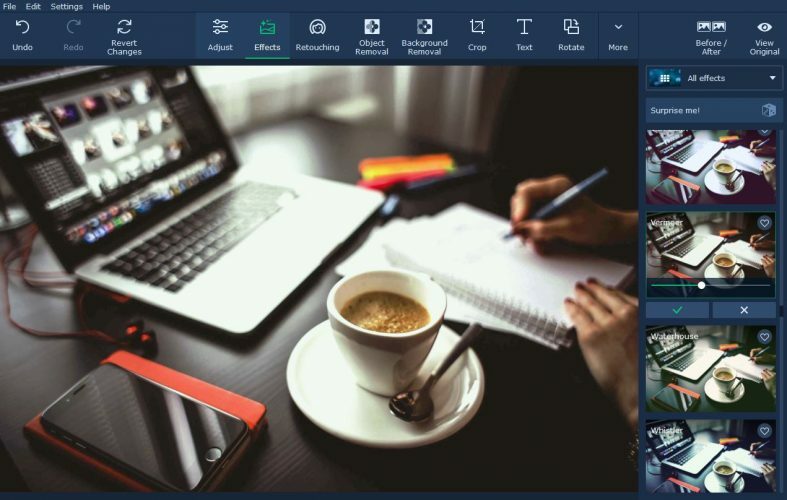 Movavi Photo Editor: As blogs have become more and more visual over the years, it is almost a necessity to be able to publish photos alongside content for your blog. That being said as much as most bloggers are well aware of the benefits of doing so, many often struggle with it as they may not be that experienced in photography. While capturing photos that look impressive may appear difficult – it really doesn’t have to be. In fact, if you know a few basics of photography, you’ll find that you’re able to come up with some great photos for your blog. The rule of thirds is an easy compositional technique to apply when you’re snapping photos for your blog, yet it can make them much more visually compelling. To start using it you should turn on the ‘grid’ that is available on most cameras, which will overlay a 3 by 3 grid over the frame. Based on that grid you can then position the subject along with any other elements that are present in your photo. Try aligning them along the gridlines or at specific intersection points in various ways, and see what seems to work. Ideally, the subject or any important elements in your photos should stand out so that they are able to grab the attention of viewers. The best way to accomplish that is using contrast to immediately differentiate them from the rest of the photo. Contrast can take various forms in a photo, including color, shape, size, and more. The more an element in your photo contrasts against the rest of the photo, the more it will be able to act as a focal point. One way to dramatically improve how your photos look is to make sure there’s plenty of light when you snap them. Ideally, it is best if the light is soft and diffused, so that it blankets the entire image evenly. As a further note, you should also make sure that the light source itself isn’t in the frame of the photo. Keep in mind that no matter how careful you are when capturing photos – they aren’t likely to turn out precisely how you expect. Even professional photographers edit and improve their photos afterward, and you should try to do the same. Contrary to popular belief you don’t need to be an artistic genius to edit your photos, and initially, you should focus on just fixing any issues that may be present. A good place to start is by adjusting color levels in order to rectify any issues caused by poor lighting or focus. If you don’t really know how to go about editing your photos and have never done so in the past, you could try Movavi Photo Editor for Mac. Its user-friendly approach will help you to perform the changes that you want to photos for your blog, without forcing you to slog through a steep learning curve. Rest assured the features in Movavi Photo Editor for Mac are comprehensive and will cover pretty much everything you need to improve your photos. With them, you will be able to enhance the quality of your photos, transform its frame, remove unwanted elements, replace the background, apply artistic filters, add captions, touch up portraits, and more. All that you need to do on your part is spend a few minutes and try out each feature in Movavi Photo Editor for Mac. 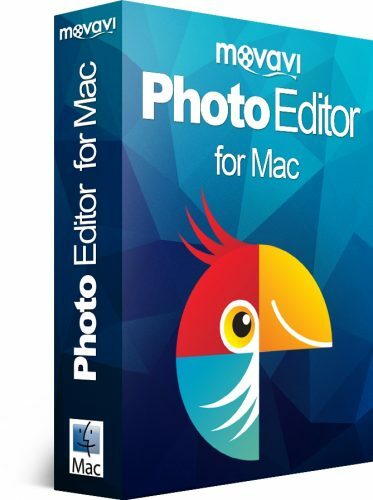 If you do that, you’ll be able to familiarize yourself with the photo editing software for Mac and see exactly what its features are able to accomplish. Hopefully, by this point, you have a better idea of how to capture and improve photos that are worth publishing on your blog. The next step is simple: Grab your camera and start to apply what you now know and see just how much of a difference it will make to the photos that you capture.